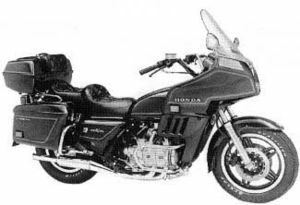 The Honda GL1100I was the "Interstate" version of the Gold Wing. You may be looking for the GL1100 "Plain" or the GL1100A Aspencade. 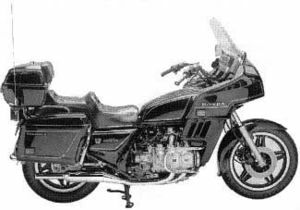 GL1100I'80 - In 1980 Honda also fielded the Gold Wing Interstate which was very similar to the standard wing, but it was decked out with fairing, saddle bags and trunk. It also came in the same two available colors: Candy Muse Red and Black. The emblems and pinstripes were gold. The wheels were black reverse comstar. The speedometer showed a 85 mph (135 kph) limit. The saddle was dual and more pronounced than in previous years. The front wheel had dual discs with a single piston calipers. 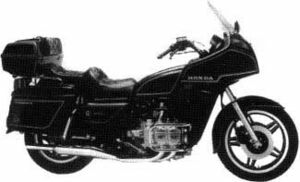 The engine now displaced 1085cc, and still SOHC 2-valve, liquid-cooled, opposed four cylinder. The transmission was a 5-speed with a shaft drive. The frame serial number began SC02-4004778 and the engine serial number began SC02E-2009396. 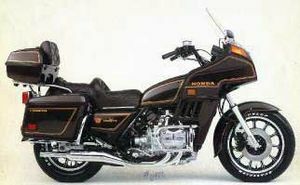 GL1100I'81 - In 1981 Honda continued with the Interstate model with very little difference. It came in two available colors: Candy Muse Red and Cosmo Black Metallic. The emblems were gold, but the pinstripes were orange and gold. The wheels were black reverse comstar. The speedometer showed a 85 mph (135 kph) limit. The saddle was dual and more pronounced than in previous years. The front wheel had dual discs with a single piston calipers. The engine now displaced 1085cc, and still SOHC 2-valve, liquid-cooled, opposed four cylinder. The transmission was a 5-speed with a shaft drive. The frame serial number began with the new style used throughout the motorcycle industry and common to the automotive industry: 1HFSC0216BA100001 and the engine serial number began SC02E-2100002. 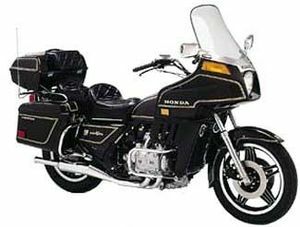 GL1100I'82 - In 1982 Honda not only had the basic Gold Wing; but also fielded the Aspencade and Interstate. The Interstate came in three available colors: Cosmo Black Metallic, Candy Wineberry Red, and Black. The wheels were black reverse comstar. The speedometer showed a 85 mph (135 kph) limit. The turn signal featured a self-cancelling system. The saddle was dual and more pronounced like in the previous year. The front wheel had dual slotted discs with dual piston calipers. The front tire was a 120/90-18 and the rear tire was 140/90-16. 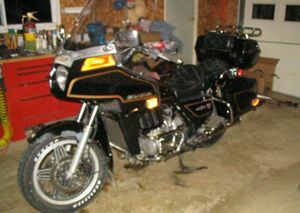 The engine was still 1085cc, SOHC 2-valve, liquid-cooled, opposed four cylinder. The transmission was a 5-speed with a shaft drive. The frame serial number began with 1HFSC0216bA100001 and the engine serial number began SC02E-2100002. 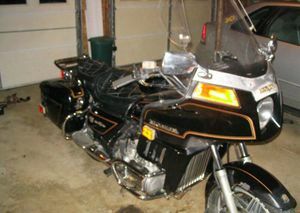 GL1100I'83 - In 1983 Honda continued with the Interstate. 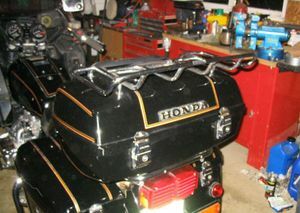 It came in two available colors: Black and Candy Regal Brown. The wheels were cast with 11 spokes. The speedometer showed a 150 mph (240 kph) limit. The turn signal featured a self-cancelling system. The saddle was dual and more pronounced as in the previous year. The front wheel had dual slotted discs with dual piston calipers. The front forks had the TRAC anti-dive control. The front tire was a 120/90-18 and the rear tire was 140/90-16. 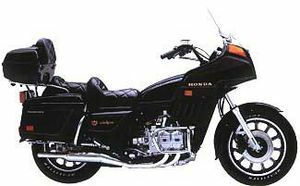 The engine was still 1085cc, SOHC 2-valve, liquid-cooled, opposed four cylinder. The transmission was a 5-speed with a shaft drive. The frame serial number began with 1HFSC0219DA300101 and the engine serial number began SC02E-2300012. This page was last edited on 28 November 2010, at 21:07.